Ski to Val d'Isère up to -70% off To take advantage of these offers, join now for free! 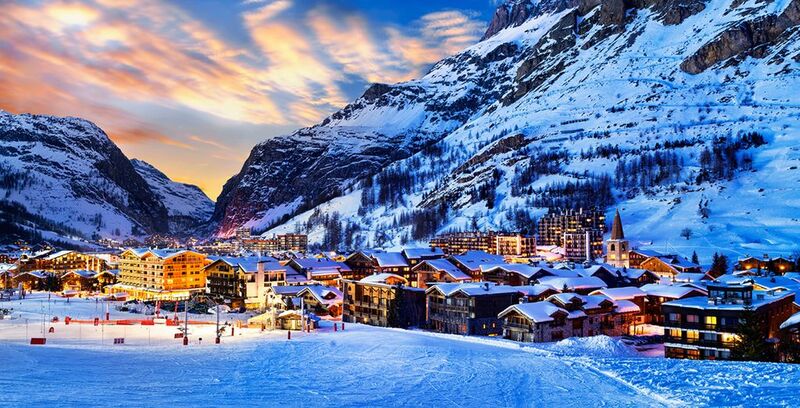 Located in the French Alps, Val D’Isere ski resort is a picturesque place to spend holidays, whether you are with friends or family. Boasting a huge 300km of prepared pistes, plus the opportunity for off piste skiing as well, Val D’Isere is perfect for skiers of all abilities. With a huge choice of accommodation to choose from, as well as other excursions, this resort is sure to please everyone. If you are looking for the perfect balance of skiing and après ski entertainment, Val D’Isere will certainly not disappoint. For sports lovers who want to experience the mountains during the summer months, there's excellent bike riding trails suitable for all ages and abilities. For those who are looking for a romantic break, Val D’Isere is a dream. There are plenty of restaurants for you to sample the local French dishes, and the family-friendly resort offers plenty of child-friendly play areas, and even child minders, for those times when you want to enjoy child-free skiing. Finally, if you are looking to relax, there are a number of hotel spas and wellness centres that can ensure you go home feeling rejuvenated. Val D’Isere offers more than just skiing, including ice climbing, where you can learn to scale a waterfall, under the watchful eyes of highly experienced and qualified climbers. You can learn the basics, such as using crampons and an ice axe. Meet on the Rond Pointe des Pistes for this activity. If you want to take a break from skiing, take a 20-minute husky dog sledding tour. You can choose whether you want to sit back and relax as a passenger, or if you’re feeling really brave, you can choose to drive a pack of three huskies, although please note, a high level of fitness is required for this. This activity is completely weather dependant and cannot be booked in advance. See the mountains from above by enjoying a breath-taking helicopter tour around the Alps. Prices start at around 85 euros and will definitely make your holiday unforgettable. Either fly around Mount Blanc, the Tarentaise, Espace Killy, or Tignes. Flights take place on Thursdays and Fridays, dependant of the weather. There is a huge choice of restaurants, which offer a range of cuisines. Whether you are looking for a light snack or a sit-down meal, there are a lot of fantastic restaurants and cafes in the mountains, including a Michelin Star restaurant, Atelier D’Edmond. Many of these have great pedestrian access. This indoor sports centre boasts a number of swimming pools, including a children’s pool, as well as a number of indoor pitches and courts – perfect for if the weather suddenly takes a turn for the worse. On top of this, there is a bar and a children’s play area. There is something for everyone at this centre, making it a must for those who are travelling with their family. The Club Med hotel certainly has a lot to offer. One of the most appealing features of this 4* hotel is the huge terrace, which overlooks the Espace Killy. 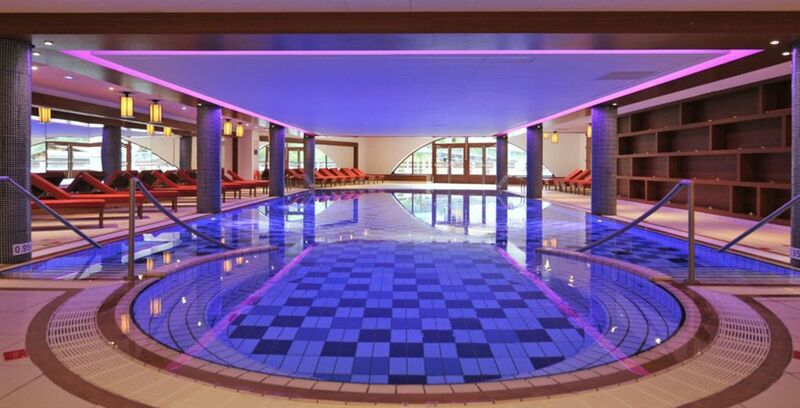 The hotel features two restaurants, its own spa, an indoor pool, and a bar. If you are looking for luxury, this contemporary lodge has it all. Located in the Espace Killy ski area, it features a lounge bar, large sitting area, a restaurant, a shop, great rooms, and spacious bathrooms. The Lodge is perfect if you are looking for a central location. It has just 86 bedrooms, all of which have been refurbished to a high standard. On top of this, you can relax in the Wellness centre after a day on the slopes. If you are travelling to Val D’Isere by car, note that the Iseran pass is closed during the winter season. There are four international airports nearby, although the closest are Chambery and Grenoble, both of which are two hours away from the resort. There are regular bus transfers from the main international airports. The closest train station is Bourg-Saint-Maurice, where again, there are regular bus transfers to the resort. If you do bring your car, on-street parking is strictly forbidden, so you must use one of the car parks. Along with all of your travel documents and toiletries, you must pack for the cold weather, so ensure that you bring warm clothing and suitable shoes for when you are not on the slopes. If you are a beginner, the likelihood is that you will hire your ski equipment; however, the clothing you must provide yourself. Therefore, a basic list should include: a warm hat, sunglasses, a neck warmer, thermal tops, fleeces, a waterproof ski jacket, waterproof ski trousers or salopettes, waterproof gloves or mittens, thermal bottoms and a few pairs of ski socks. When is the best time to ski at Val D’Isere? At Val D’Isere, the ski season runs from November to May, and choosing which time to go is ultimately down to personal preference. The consistent high snowfall and large artificial snow machines make it a safe bet all year round; however, many argue that the winter months are still preferable. With everything that Val D’Isere has to offer, it is one of the best ski resorts; however, be prepared that this does come at a price, and it is one of the most expensive places to ski in the Alps. Based on one adult visiting in high season, a 6 day ski pass will set you back approximately £250.